The innovative Trek wireless headphones are a running essential for anyone who enjoys the motivation that can come from listening to your favourite tunes. They are the safest way to enjoy your music whilst you pound the pavements. 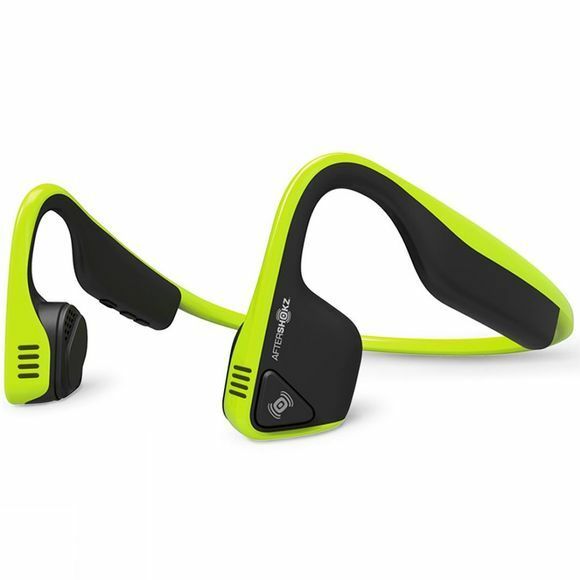 Trek are Aftershokz lightest and most comfortable headphones yet, and with PremiumPitch technology they make no compromises on sound quality. With bone conduction technology they deliver music through your cheekbones, keeping your ears open to take in situational sounds. Designed with the athlete in mind Trek headphones are sweat proof and secure. Stay aware and stay safe this summer.